Musubi, a principle taken from the martial art of Aikido, signifies connection, unification, and harmonious interaction. In this workshop, we will explore how the principle of Musubi relates to the practice of offering Functional Integration®lessons. How do we extend ourselves, project, or transmit a force that clearly connects to a functional theme or intention? How do we transmit this force or movement through the student’s skeleton? 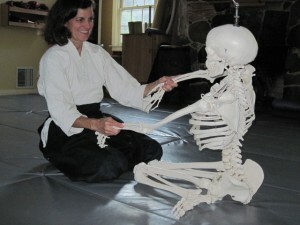 We will use Awareness Through Movement®, FI®, and practices from Aikido, to help us deepen our effectiveness and become more skillful in connecting with our students.